After Wayne Rooney’s Hair Transplant: What could be the secret of David Beckham’s New Hair? Men who suffer from hair loss, baldness or a receding hairline are increasingly opting for hair transplantation. 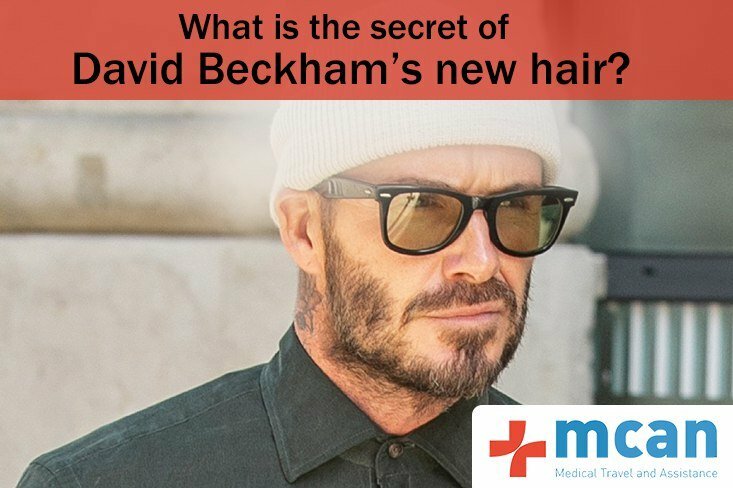 Among celebrities, it is especially the football players, such as David Beckham, who choose for a hair transplant to get thicker hair. 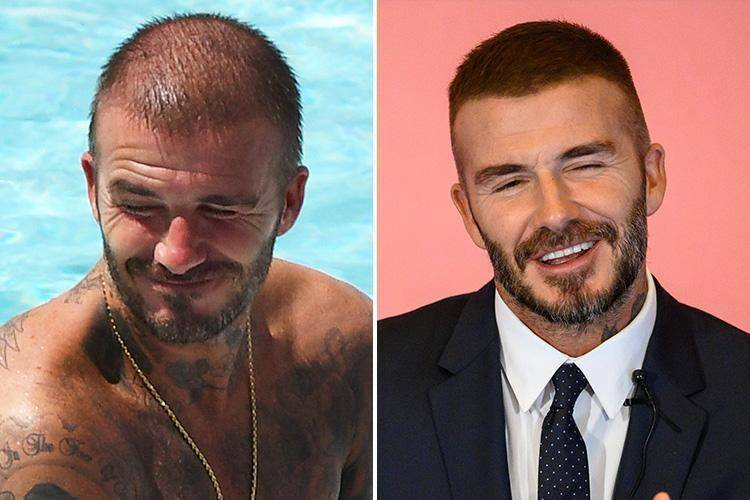 On 27th of Sept, 2018 Daily Mail’s Rebecca Davison suggested that just like Wayne Rooney’s Hair Transplant, 43-year-old football icon, David Beckham might also have a hair transplant hidden under his cap while he visited the Paris Fashion Week (on the right). Is it a wild guess or the truth? 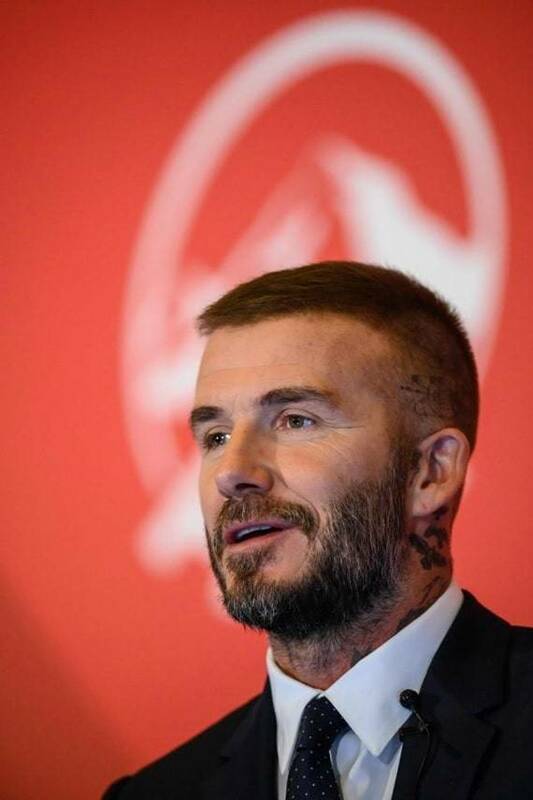 “Looking at the picture of David Beckham (below)”, she says, he has receding hair starting from hairline towards the crown area. David Beckham is one of our favorite football players and we all love him, don’t we? And how handsome he is! However, what we are really curious about in men is the psychology behind having a hair transplant? Why each year thousands of people are having a hair transplant? 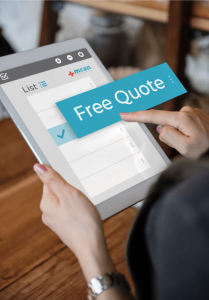 Let’s have a look at the European study covering the psychosocial impact of hair loss among men by Alfonso, Richter-Appelt, Tosti and Garcia, 2005. The objective of the study is to identify the impact of hair loss on the self-image of men in five European countries and their level of concern about hair loss with regard to physical and personal attractiveness. The countries involved are Germany, France, Italy, Spain, and the United Kingdom. Based on their telephone survey, 70% of the men who have a hair loss problem stated that hair is an important feature of their image and 62% agreed that hair loss could affect self-esteem. That means that even if you are a celebrity and admired by many, hair loss problem is still seen as an important feature of the image and may affect your self-esteem. 20 years ago the techniques used for hair transplant were quite limited. There was Follicular Unit Transplantation (FUT), also known as strip method, which leaves a scar at the back of the head. That is changed with the introduction of Follicular Unit Extraction (FUE) where the hair follicles are collected one by one from the back of the head, that is recently the most popular technique, performed by experienced surgeons, leaving no scar at the back of the head. Do you know how many days you need for hair transplant treatment? The hair transplant procedure takes 6-8 hours and then you have to get a rest awhile. One or two days later you will have a check-up and the first hair wash will be performed by the surgeon or one of the nurses. 7-10 days later, the crusts will fall down and it will look like you have shaved your head. If you are not okay with the look of the crusts on your head which is not irritating at all, you can go back to work after 3 days. Of course, you can also hide the crusts by wearing a loose hat. So, you want your hair back. Where to have this done, where to have the procedure, is the next question! Turkey is definitely the most popular destination for hair transplant. Although the press sometimes mentions bad experiences, they actually happen everywhere. On 21st of Aug 2018, Express Online magazine stated that a clinic in the United Kingdom, performing hair transplants on celebrities, including footballers Leigh Griffiths and Anthony Stokes, Westlife singer Brian McFadden and Maria Fowler from the reality show called The Only Way Is Essex, was closed in March and the company has been placed into liquidation due to the dozens of complaints from clients about botched treatments. So, the country itself simply offers no guarantee at all. You have to do your own research and then choose a trustable clinic. In Turkey, a distinction is made between clinics that have been approved by the Ministry of Health and those that have not been approved. Do not choose an illegal clinic or place which offers hair transplant in Turkey at cheap prices. Better you pay a little more and go to a hair transplant clinic in Turkey that has been assessed positively by the Ministry of Health. After all, you do not want to wear a cap after your hair transplantation forever, now do you? To get more information, contact with us!